With just a little over two months to go before the filing deadline for 2018 income taxes, it’s important to be informed about business deductions. Missing a deduction can cost you thousands of dollars that you could be using for other things. At Cook Martin Poulson, we work closely with our business clients to minimize their taxes. One deduction that we ask every client about is the Research and Development Tax Credit. While there have been a lot of tax changes due to the Tax Cuts and Jobs Act of 2017, the R&D credit is not new. Here’s what you need to know about it. What is the Research and Development Tax Credit? The Research and Development Tax Credit was a provision in the Economic Recovery Tax Act of 1981. In response to the economy’s troubles, ERTA was intended to be a stimulus. At the time, members of Congress felt that declines in research spending by American companies were having a negative impact on the country’s economic growth and competitiveness in the world marketplace. The official title of the provision regarding R&D is the Credit for Increasing Research Activities. It allows businesses to take a tax deduction for “Qualified Research,” and it applies to companies in both the public and private sectors. Originally, the R&D credit was intended to expire on December 31, 1985. It has been extended a total of 15 times; and in 2015, Congress made it a permanent part of the tax code. It can be found under Internal Revenue Code section 41.
Who Qualifies to Take the R&D Tax Credit? The R&D tax credit is available to businesses who conduct Qualified Research. While R&D might not be a main focus of your company’s activities, any company that meets and resolves technological challenges may be eligible to take the credit. The most common way of determining whether research is qualified is a four-part test. Here are the criteria established by the IRS’s four-part test. Elimination of uncertainty. A company taking the credit must demonstrate that it has tried to eliminate uncertainty in its development or improvement of a process or product. Process of experimentation. A company taking the credit must demonstrate that it has explored and evaluated alternatives for achieving the desired result. Demonstration may include modeling, simulation, systematic trial and error, or other methods. Technological in nature. A company taking the credit must use a process of experimentation that relies on the so-called “hard sciences,” which include biology, chemistry, computer science, engineering, and physics. The software must be innovative, and result in either a cost reduction or an improvement in speed that is both substantial and of economic significance. Developing the software involves what the IRS defines as “significant economic risk,” meaning that it requires a commitment of substantial resources and is subject to substantial uncertainty of recovery. The software is not yet commercially available, meaning that consumers may not purchase, lease, or license and use the software for its intended purpose without making significant modifications to satisfy the first two requirements. In our experience at Cook Martin Poulson, it’s not uncommon for businesses who don’t consider themselves to be innovators to apply this test to what they do and discover that they are eligible for the R&D credit. In other words, don’t assume that you aren’t eligible without looking at your activities through the proper lens as defined in the tax code. 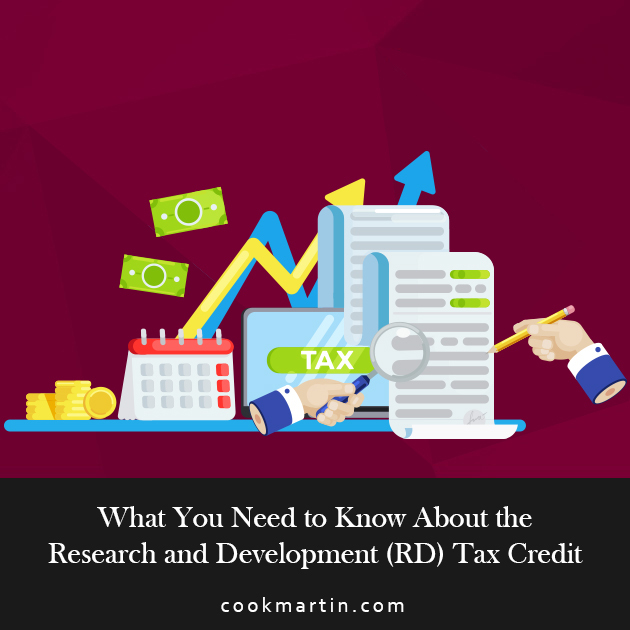 Of course, if you plan to take the R&D Tax Credit, you must also be prepared to identify, document, and otherwise support the activities that qualify you for the credit. What Qualified Research Expenses Apply to the R&D Tax Credit? Wages paid to your employees for qualified services, including amounts that are considered to be wages for the purposes of federal income tax withholding. Supplies, which are defined as any tangible property (excluding lands or improvements to land and property that is subject to depreciation) used or consumed in the R&D process. Contract research expenses that your company pays to a third party for performing QRAs on behalf of your company, regardless of the success of the research being conducted. Contract research expenses are allowed at 65% of the actual cost incurred. Basic research payments that your company makes to qualified educational institutions or scientific research organizations as part of your R&D activities. Basic research payments are allowed at 75% of the actual cost incurred. You should plan on getting the advice of an experienced CPA or tax attorney to calculate your R&D credit, particularly if you have not taken it in the past. The experts at Cook Martin Poulson can be very helpful in this area. What Activities Are Not Qualified R&D Activities? 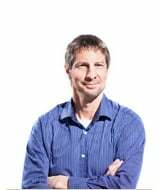 In addition, your costs associated with acquiring fixed assets that are used in your regular trade or business are also excluded from being Qualified Research Expenses. Small businesses may take the R&D Tax Credit against their alternative minimum tax (AMT) liability for tax years beginning after December 31, 2015. Startup business with no federal tax liability and gross receipts of less than $5 million may take the R&D Tax Credit against their payroll taxes for tax years beginning after December 31, 2015. Your accountant will be able to help you figure out whether your business qualifies under these changes. If your business carries out research or innovates in any way, you may be eligible for the R&D Tax Credit on your next tax return. A qualified CPA can help you walk through the calculations and determine your eligibility. At Cook Martin Poulson, we have helped several businesses realize tax benefits they didn’t even know they qualified for. If you think your business may be doing R&D and missing out on the tax benefits, we encourage you to call us today. To learn how Cook Martin Poulson can help you determine your eligibility for the R&D tax credit, please contact us.